Home / Entertainment / gaming / PC / DEATHGARDEN: CLOSED BETA LIVE TODAY, EARLY ACCESS IN AUGUST! DEATHGARDEN: CLOSED BETA LIVE TODAY, EARLY ACCESS IN AUGUST! Behaviour® Digital announced today two major releases for Deathgarden™, an asymmetrical multiplayer action game where an overpowered Hunter attempts to track down and execute five limber Runners. The next phase of live-testing commences today, June 19, when closed beta launches for a period of one week on Steam. Following closed beta, Deathgarden will move into Steam Early Access in August. Players are invited to the Garden from June 19 at 3pm ET – June 26 at 9am ET to embody the Hunter or Runners and help test the robustness of Deathgarden’s dedicated servers and game balance. New players may request a beta key by registering at deathgardengame.com. Those who participated in the closed alpha are guaranteed beta access. Behaviour Digital is also excited to announce Deathgarden will launch on Steam Early Access in August. “The goal of this final phase prior to the official release is to establish the post-launch content delivery cadence while better integrating community feedback and implementing further improvements,” explained Matt Jackson, Design Director. Players who pre-order Deathgarden before August will automatically be upgraded to the game’s Deluxe Edition, which includes: guaranteed access to the closed beta and soft launch, exclusive Origin cosmetics sets, a digital game soundtrack, and a digital art book (a combined value of $49.99) for $29.99. 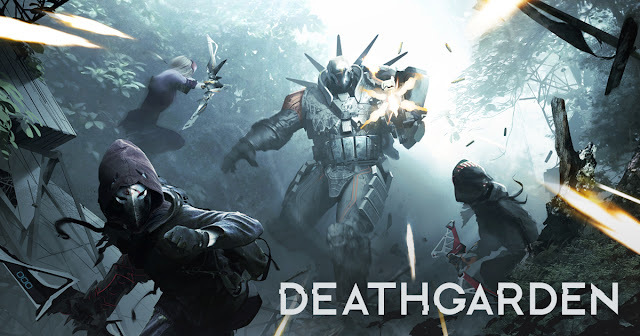 Behaviour Digital will discuss and showcase the Deathgarden beta during the game’s second Twitch livestream on June 19 at 2pm ET at www.twitch.tv/deathgardengame.